Introducing Wissahickon Valley’s Keystone Club! Wissahickon Valley is lucky to offer our middle school students a national Boys and Girls Club program – Keystone Club! This program provides members with responsibility, self respect and a sense of community through volunteer work and community involvement. To be a Keystone Club member is a privilege. With each community activity and service trip, the members earn an incentive trip! Incentive trips help our members understand that hard work plays off in more ways than one! Keystone Club runs for 8 weeks every Fall, Winter and Spring. Keystone Club’s first Fall session at Wissahickon Valley was a success! Our members were able to visit a culinary school, play BINGO with a veteran, volunteer in the community and go on a college campus tour. 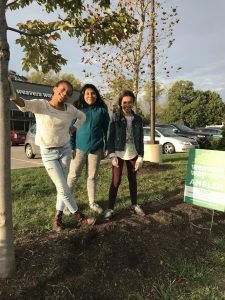 Keystone Club helped beautify a new local grocery store by planting bulbs and collecting trash. With this particular opportunity, the kids felt a true sense of community and they even got to go shopping! Our fall session also included a memorable college visit. Gwynedd Mercy University is a local university and although many students had driven past, they had no perception of what the campus was actually like. For most of the members, it was their first time visiting a college! After a short presentation providing information on the college application process, the kids took a campus tour! It was here where students came to the realization that attending college is a pretty awesome goal to have. As one student pointed out, “My mom won’t be at college to stop me from eating ice cream for breakfast!” Sparks ignited and the dream of going to college is now in full swing! Because of the student’s responsibility and commitment to the club, they were able to vote on an incentive trip! It was a unanimous decision: Starbucks! We traveled down the street to Starbucks in Spring House where the kind staff helped each student order a signature Starbucks drink (decaf of course)! 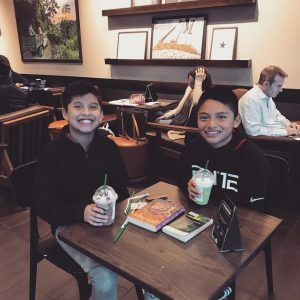 With good books in hand, the students relaxed while sipping their hard earned Frappuccinos! We are looking forward to another successful Keystone Club session this winter. Keep an eye out for us around town! 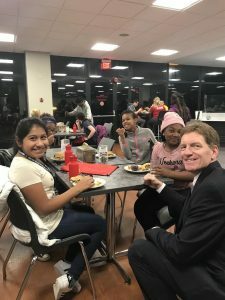 Wissahickon Valley’s Kids in the Kitchen – Pasta Night! Did you know that there are over 350 types of pasta from around the world? 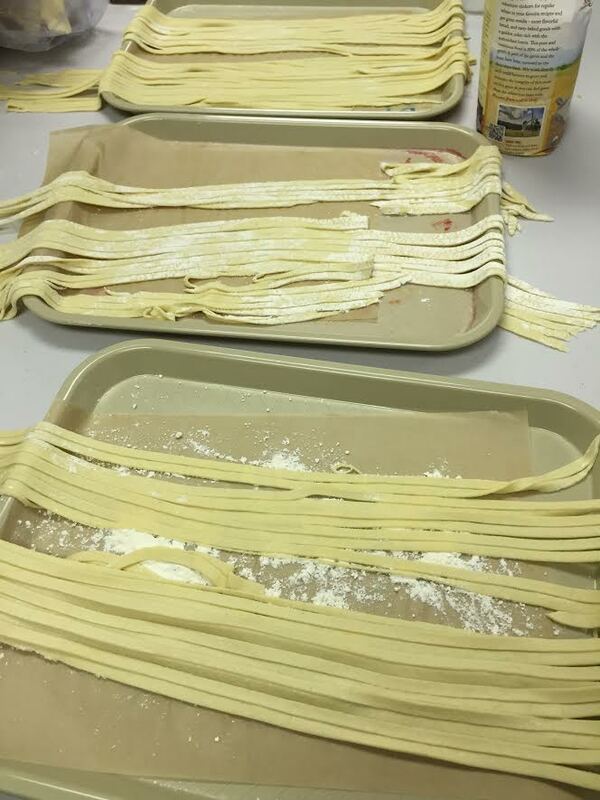 Last Thursday during Wissahickon Valley’s Kids in the Kitchen cooking club, our members learned all about pasta! During Kids in the Kitchen lessons, we focus on the four parts of a healthy plate: fruits, vegetables, proteins and grains. This means, that when we eat lunch or grab dinner, we should try to incorporate a food from each part of the healthy plate to ensure maximum nutrients so our bodies can be strong and healthy! 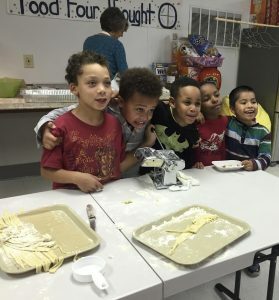 Our Kids in the Kitchen members have learned about different foods from each part of the plate over the past six weeks. 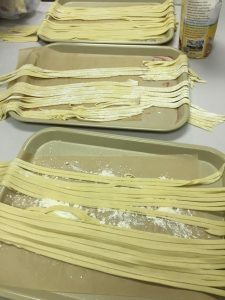 Last week, we tackled grains with our pasta lesson! They got hands-on and made two Italian classics – Fettuccine and Gnocchi. 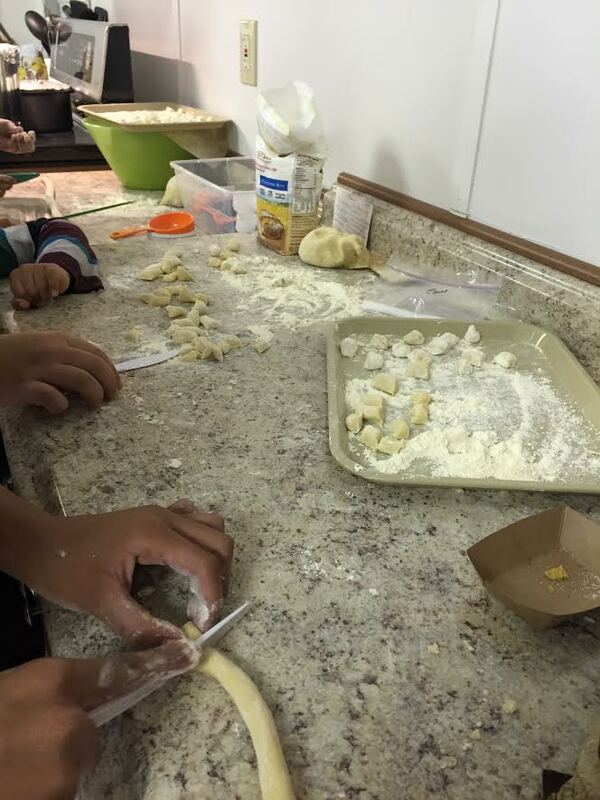 Our little chefs used their muscles to knead the dough and roll it into long “snakes”. From there, we flattened it to put it through the pasta maker for Fettuccine and cut it into pieces for Gnocchi! While everyone enjoyed the process, the best part of course, was eating it! The future chefs were having so much fun that they made enough pasta to share with their parents! If you are interested in making a simple, delicious, homemade pasta check out this recipe! Add tomato sauce and ENJOY!